Contractor Multiplex has completed its sustainable student accommodation precinct at Monash University's Peninsula campus in Frankston. 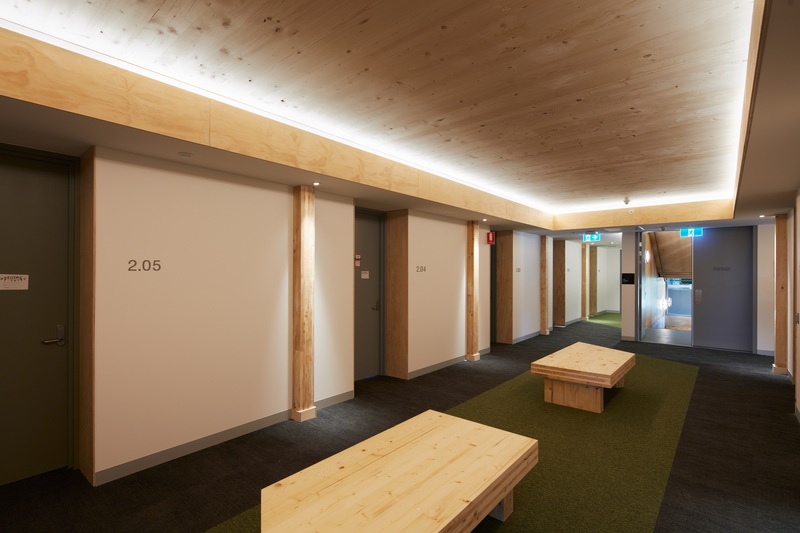 The student building, which marked Multiplex's first foray into cross-laminated timber construction (CLT), comprises 150 single occupancy units set over six levels. “The design and build processes have been accompanied by a determination to get every detail correct for the Peninsula Campus to have a landmark architectural initiative with unparalleled sustainability goals,” Monash University pro vice chancellor David Copolov said. The contractors also recently completed the $81 million world-leading Biomedical Learning and Teaching Building at Monash University's Clayton campus.